ABOUT | CME Yachts - Complete Marine Enterprises Inc.
Gus Lewis’ experience as a Captain and Engineer aboard the most distinguished luxury yachts ever constructed gives him the unique qualifications to evaluate the quality of construction on new yachts and the ability to identify potential maintenance issues on refitted pre-owned yachts. Gus has cruised all of the major oceans of the world and has intimate knowledge of the best cruising routes and all of the points of interest and hotspots in each destination. 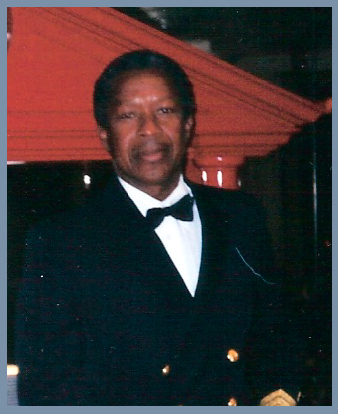 As a Captain, Gus has completed over thirty Atlantic crossings from Florida and the Caribbean to Gibraltar utilizing various routes, including Bermuda to the Azores and Las Palmas to the Virgin Islands, and logged over one hundred and fifty thousand (150,000) nautical miles. Extensive knowledge of the Mediterranean Sea, especially in the South of France, Italy, Greece, Turkey, Spain, and the Baleares Islands; the North Sea as far as Sweden; the east coast of the U.S.; the Bahamas; Caribbean; and South America, and have established relationships with port captains, harbor masters, international yacht builders, surveyors and agents in each of these regions. Gus has numerous contacts across the globe and the resources to assemble the best crew anywhere in the world to ensure that you have a flawless trip of a lifetime.